BHAKTAPUR, Nepal -- Nepal on Monday reopened most of the cultural heritage sites that were damaged in a pair of devastating earthquakes, hoping to lure back foreign tourists. The April 25 and May 12 quakes killed more than 8,700 people and damaged hundreds of thousands of buildings in Nepal, including old temples, palaces and other historical structures that are popular with tourists. Six of the seven UNESCO World Heritage sites closed after the quakes were reopened Monday, Tourism Minister Kripasur Sherpa said. 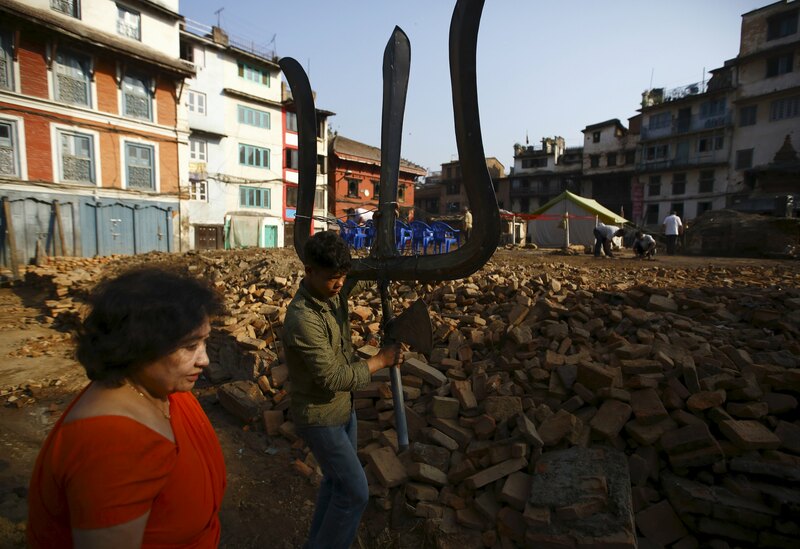 "We are urging people to come to Nepal for holiday to help Nepal rebuild," Sherpa said in Bhaktapur, a city outside of Kathmandu filled with ancient temples, and which is among the reopened heritage sites. The sites were closed due to the damage from the quakes, but also over concerns about the safety of tourists. Bhesh Narayan Dahal, chief of Nepal's Department of Archaeology, said that measures have been taken to ensure that tourists are safe, and that there are plans to provide safety helmets for visitors in some places. Some 741 heritage structures were damaged in the quakes, and it will take at least $18 million to rebuild and restore them, Dahal said. Nepal is hosting an international donors' meeting next week in Kathmandu, the capital, to seek money to help rebuild the Himalayan country following the quakes. About 800,000 foreign tourists visit Nepal every year and the government is worried that a fear of earthquakes will stop many from visiting. UNESCO, the United Nations' cultural heritage organization, had raised concerns last week about the reopening of the heritage sites, urging tourists to be extra cautious and reconsider visiting them. The agency also asked the government to restrict tourists' access to locations where structures had collapsed and that were still considered unsafe.